Within the final stages of the EYERP project, an international Conference on Youth Empowerment and Entrepreneurship was organized together with all project partners at the European Youth Education and Meeting Centre in Weimar (EJBW), Germany on 10 and 11 September 2014, in order to present the outcomes of the project and share the results among practitioners, stakeholders and a wider audience of youngsters, students and academics. In the Conference project partners presented five methods described in this Guide and received valuable responses and feedback on them. The event was very interactive, with several teambuilding activities and discussion rounds, where participants were able to share their experiences, exchange practical knowledge and present their ideas. The event can be considered as a perfect platform for empowerment practitioners and beginners, who would further use the tools and methods presented in the conference by reflecting on their own daily work with youth and measuring their own activities by these tools. The first day of the conference began with the Empowerment Session where participants concentrated on the self reflecting question of “How to empower youngsters in my work”. During the session participants shared their experiences on empowerment and encouraged others to reflect on them during the pair interviews on empowerment experiences. After that, five parallel Workshops on empowerment methods were offered, where participants could join the workshop of their interest and test them personally, by reflecting on their own experiences and daily work. These workshops were also a good opportunity to measure and assess the methods selected by the project partners, in order to enrich the existing pool of methods and improve them for youth workers and practitioners. First day of the EYERP Conference. The aim of the conference was to be such a place, where Empowerment is palpable and where the exchange of experiences, and knowledge opens up our minds. This conference was the final event of the European Youth Empowerment Research Project (EYERP), financed by the Youth in Action Program of the European Union. With experiences made during the project we would like to set some impulses during the conference in order to facilitate the learning field on Youth Empowerment and Entrepreneurship. The results of this process were discussed and evaluated in the context of the conference with participation of external experts, practitioners, academia and policymakers. It was a great opportunity to share and present the results to a wider audience, as well as an opportunity to create a groundwork for future partnerships and cooperation. The second half of the day was dedicated to the Entrepreneurship competences and the ways to develop those skills among youngsters. 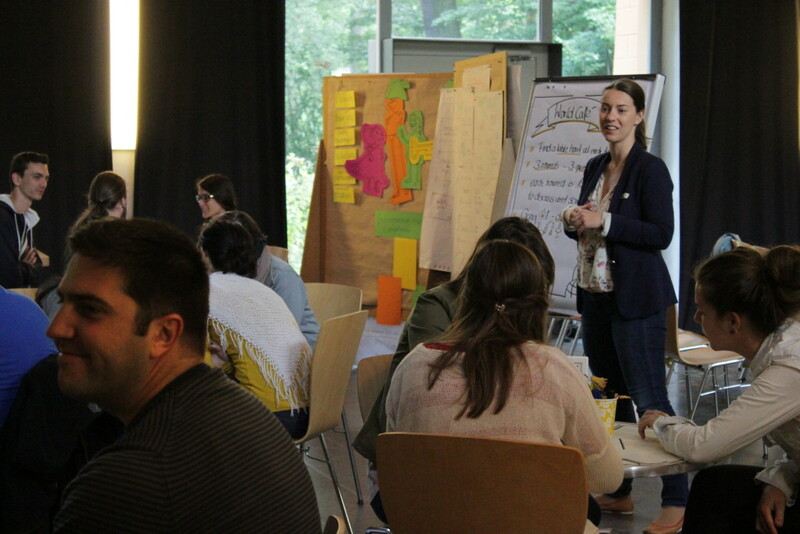 The topic was further discussed at the interactive session of World Café, in order to stimulate participants to come up with new ways to reflect and find the links between empowerment and entrepreneurship competences and skills. A discussion at the interactive session of the World Café. The second day of the conference continued with reflections on the methods presented the day before, as well as the possible ways to improve them for further use. After the discussion, participants were offered three parallel workshops on impact assessment, quantitative tools and qualitative tools, where they could discuss the ways to measure and evaluate their work using various options. During the workshops participants were also asked to measure the key competences and personal characteristics such as: Project management, Team management, Communication skills, Pro-activity, Persistence, Risk taking, Problem solving skills, to see how much they foster the development of these competences in their work with youngsters. The conference ended with the final reflection on the two days of work and the ways to spread the knowledge and ideas of the conference to others. The event also created a platform for unique approaches and future partnerships to lead progress further. 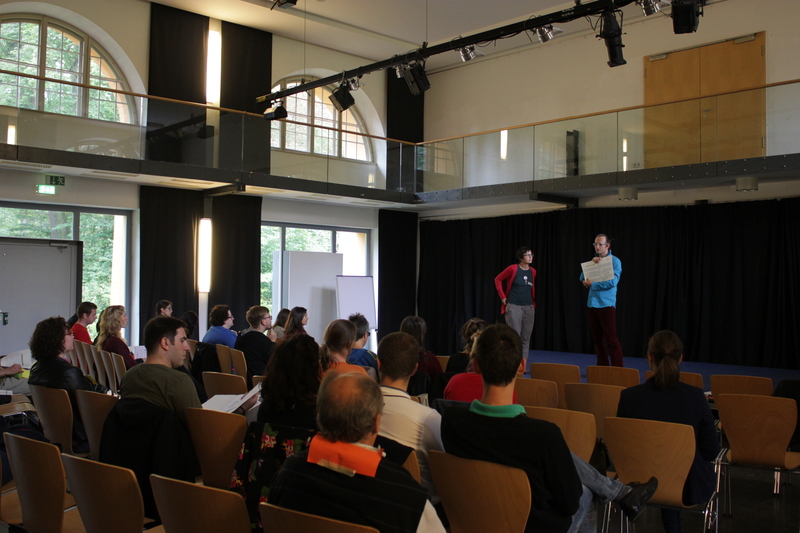 The conference will take place in Germany, in the European Youth Education and Meeting Centre in Weimar (EJBW). The EJBW is an international institution and meeting centre for the education of children and young people as well as for teachers and educators from throughout Europe and beyond.